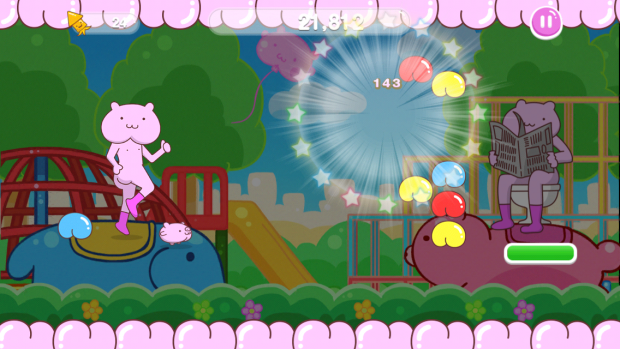 Home Apps Android DeNA’s latest mobile puzzle game is a real peach! DeNA’s latest mobile puzzle game is a real peach! Japan’s DeNA launched a very unusual mobile game today. The title is really hard to translate , but suffice to say that it includes ‘Peach butts’, reflecting the fun, rotund characters featured in this title. DeNA seems pretty focused on its domestic activity these days (as our friend Serkan Toto recently pointed out), but I hope that a game as quirky as this one can someday make it into English too.